I found a frequency response measurement of the HE400i that is more accurate than the ones I previously used in my equalizer settings. I discovered a way to extract the graph data from Rtings.com. Rtings.com has measurements of lots of headphones, and their methodology is one of the most accurate. 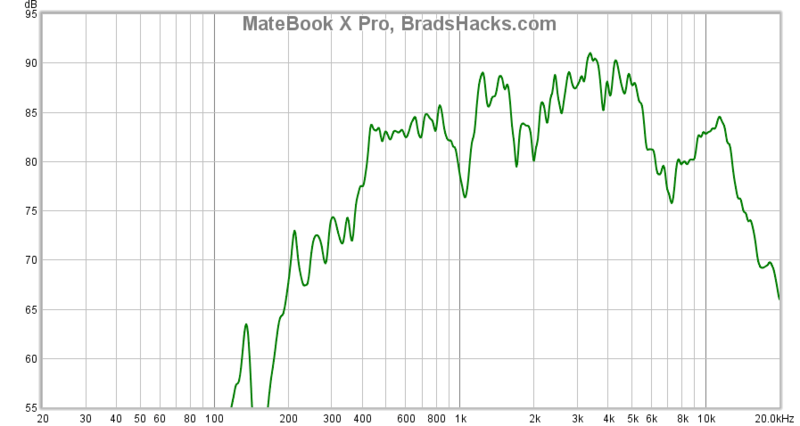 So, I imported their data into Room EQ Wizard and created an equalizer profile to correct the frequency response of my HiFiMan HE400i. I came up with the filters manually. I’m choosing not to boost the troughs or over-correct the treble to prevent side effects that arise when any particular listener’s ears don’t exactly match this graph. 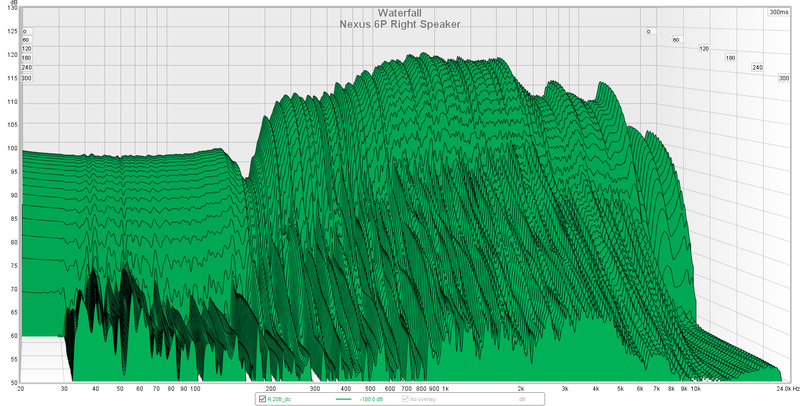 The front facing speakers on the Nexus 6P are relatively potent. These measurements were made with the phone standing horizontally, supported by a pillow. The UMIK-1 measurement microphone was about 20cm from the 6P, and pointing perpendicular to the screen. Please ignore everything below 250Hz! 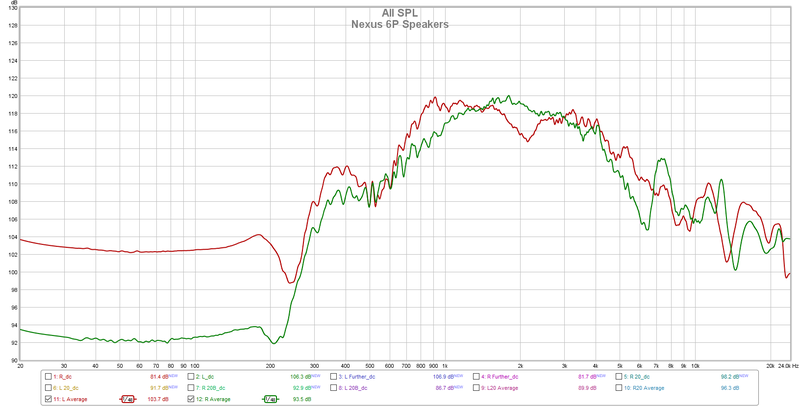 The 6P doesn’t produce enough volume at those low frequencies to be detectable over the noise floor. 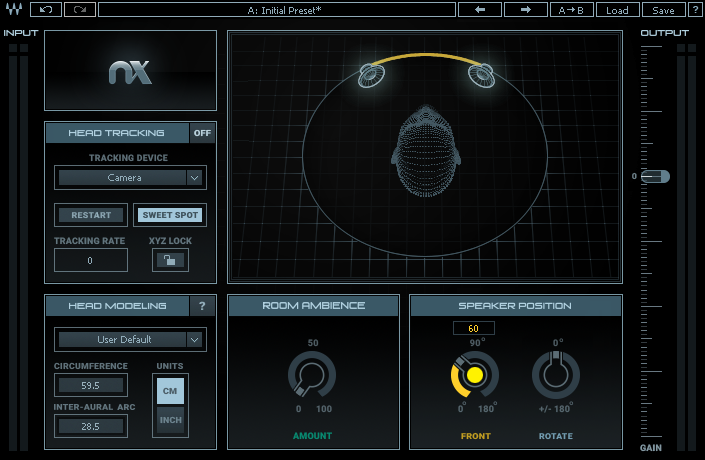 Unlike most other headphone surround sound emulators, Waves NX does a relatively good job at preserving the quality of the original sound while simulating an out-of-your-head soundstage. But let’s see how it actually changes the sound. November 2017 Update: I made a revised version here. Use the files in the Download section below to give your HE400i a neutral frequency response. It sounds good. 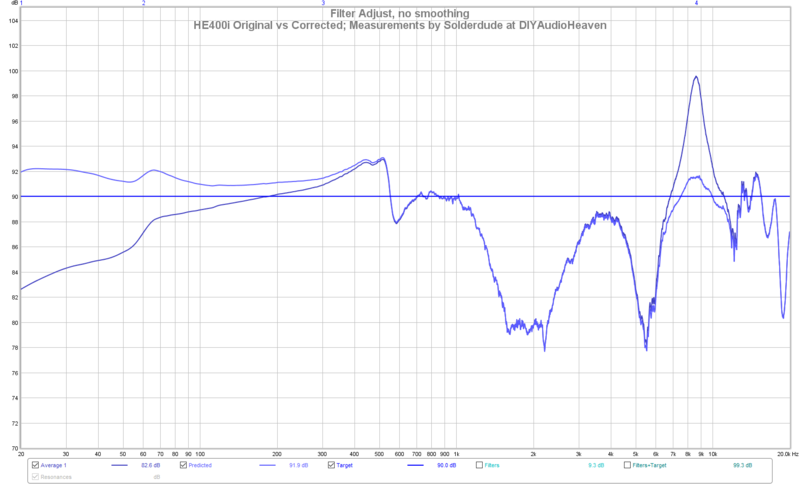 My first attempt at developing an equalizer setting to flatten the HiFiMan HE400i‘s frequency response yielded excessively elevated 8KHz and 10KHz regions. 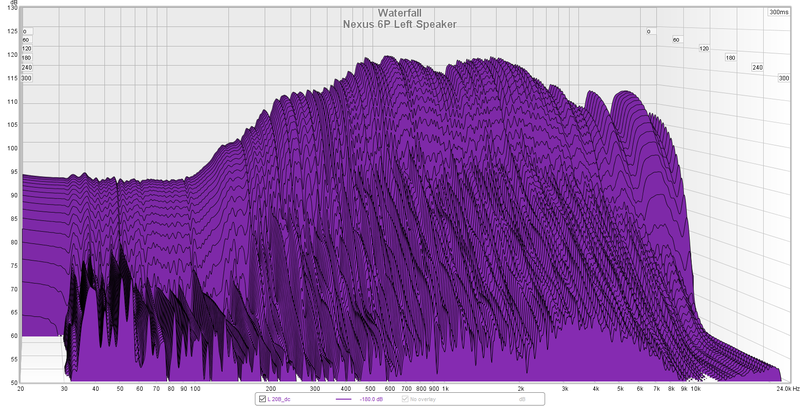 This is because I used InnerFidelity‘s measurements. They are consistent among themselves, but the Hammershøi and Møller HRTF curve that I used for frequency response compensation is inappropriate for Tyll Hertsens’s Head Acoustics HMS II.3 head simulator, so the compensated frequency response was a off in the treble. This time, I asked Solderdude (administrator of DIY Audio Heaven) for his measurements of the HE400i made with his home-made measurement rig. Although Solderdude’s device is not a calibrated HATS, I find his measurements to be very accurate. 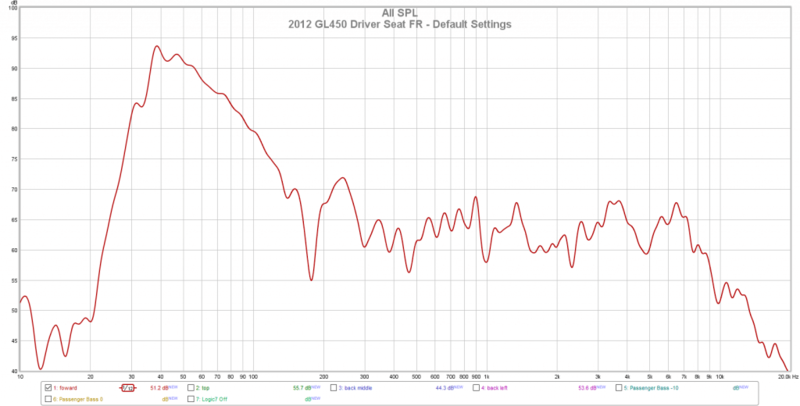 These are some frequency response measurements of the 2012 Mercedes-Benz GL-Class’s optional Harman Kardon in-car sound system. While its frequency response is far from neutral, this 12-speaker sound system is quite enjoyable to the ear. The sub-bass boost compensates for the engine noise, and the treble roll-off makes a non-fatiguing sound, which is especially appreciable for long road trips.